There's still time to come over to Brooklyn Borough Hall and take advantage of free tax preparation sessions for eligible residents. 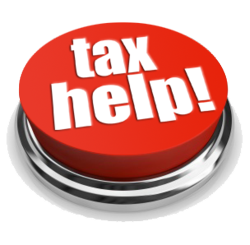 In partnership with the Brooklyn Cooperative Federal Credit Union, Grow Brooklyn, and the New York City Department of Consumer Affairs, Borough President Eric Adams' office has set up additional dates between Thursday, April 6 and Monday, April 17 for the free tax help. To expedite the process, bring a government-issued photo ID; Social Security or ITIN cards for yourself and all individuals on your return; all relevant tax forms (W-2, 1099-R, etc. ); documents of higher education expenses; child care expenses, provider information, and student fees, as well as your bank account number/routing number for direct deposit. For more information, or to make an appointment,call (347) 682-5606 or visit growbrooklyn.org. You can join 10,000 Concerned Brooklynites, the BP's ongoing effort to identify, organize, and unite people from all walks of life to build a movement which will actively contribute to the betterment of their communities. Click here to sign up and join me and 9,999 other Concerned Brooklynites.